CHARLES HENRY YOUNG -- The surname, Young, has been continuous in those parts of Southeastern Massachusetts and Rhode Island which border upon one another, for a period of over two hundred years, throughout which time the name has been an honored and respected one. The Young family in America traces its origin to several immigrants of the name, who came to the New World in the opening decades of the colonization era, and became the progenitors of families whose branches are now to be found in every part of the country. The surname itself is of the comparatively large class which has their source in nicknames, and signifies literally, 'the Young'. Probably in numerous cases the nickname was applied in the sense of junior, to distinguish father and son, when both bore the same personal name. It appears in registers of as early date as the Hundred Rolls, 1273, in which we find the entry, Hugo le Yunge, of County Oxford. Families of the name have gained fame in English history, bearing arms and titles. It was Sir John Young, a knight, who accompanied Mary Queen of Scots as her chamberlain on her return from France to Scotland in 1561, and received from her the grant of the manor of Leny. Several descendants of the American progenitors have figured largely in New England history, and have made the name an honored one among New Englanders. The family herein under consideration has had its seat in what is now the town of Burrillville, R. I., since the close of the American Revolution, in which conflict Othniel Young, who is mentioned below as head of the family, served as a member of the Continental forces. (I) Othniel Young, great-grandfather of the late Charles Henry Young, for a long time one of the foremost dealers in real estate in the Pawtuxet Valley, was a resident of that section of Rhode Island which borders on the State of Massachusetts, in what is now the town of Burrillville, R. I. 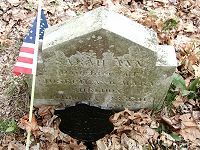 He enlisted as a private in a Providence company in 1776, and afterwards received a pension from the government for his services. He was drawing a pension March 4, 1831, at which date he was seventy-six years of age. Othniel Young resided in Burrillville, at the home of his son Alpheus Young, with whom he was living in 1840. The name of his wife is unknown. (II) Zebeda Young, son of Othniel Young, was born April 30, 1780, in Burrillville, R. I., where he resided during the early part of his life. He was a prosperous farmer and land owner, and a well-known citizen. 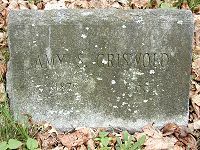 In late life he removed to Mendon, Mass., where he followed the trade of basket-making until his death. 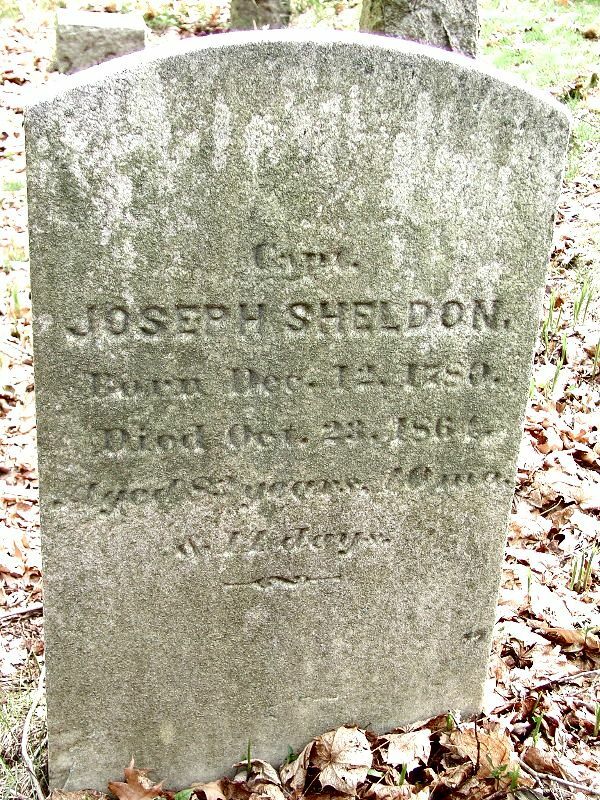 Zebeda Young married Phila Alby, who died May 15, 1867, in Mendon. 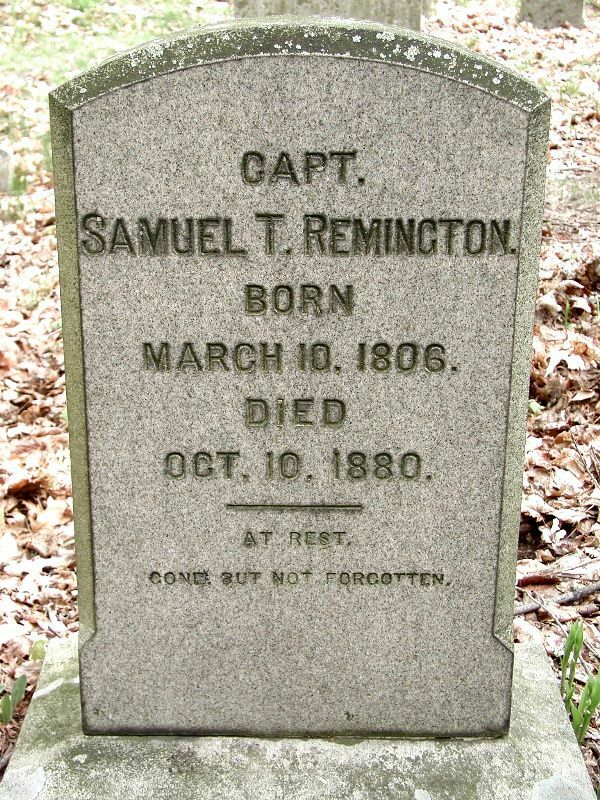 He died in Mendon, December 15, 1872. 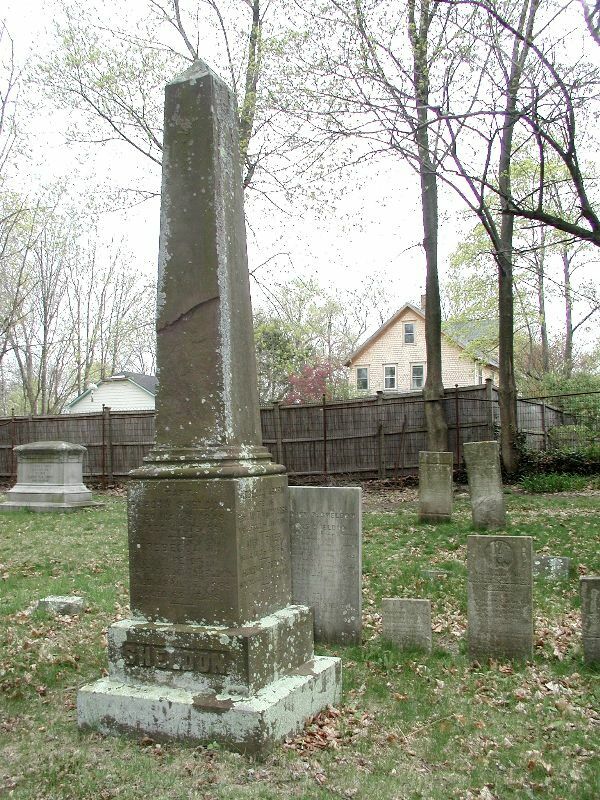 (III) Daniel Young, son of Zebeda and Phila (Alby) Young, was born July 5, 1807, in Burrillville, R. I. He grew to manhood on his father's farm, and following his marriage engaged in agricultural pursuits in Burrillville until 1852. In the latter year he removed to Kent county, settling in Centreville, R. I., where he entered the mill of Benedict Latham. He subsequently removed to Coventry, where he was connected with the mills for many years. 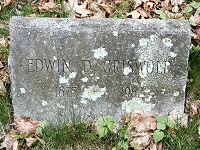 Following his retirement from active business affairs, he removed to West Greenwich, where he died February 21, 1886, in his seventy-ninth year. Daniel Young married Mercy Keech, who was born in Burrillville, R. I., daughter of Rice Keech, and who died at a venerable age. Daniel and Mercy (Keech) Young were the parents of the following children: 1. Charles Henry, mentioned below. 2. Daniel H. 3. Warren, of Cranston, R. I. 4. Ellis, who served in the Union Army in the Civil War; now deceased. 5. Phila, who became the wife of Powell Phillips, of Hope, R. I. 6. Zebeda, died young. 7. Sarah, died young. 8. William Allen, of Scituate, R. I. (IV) Charles Henry Young, son of Daniel and Mercy (Keech) Young, was born near Herring Pond, in the town of Burrillville, Providence county, R. I., April 1, 1836. He was educated in the schools of Burrillville, and in 1852 removed to the Pawtuxet Valley with his parents. 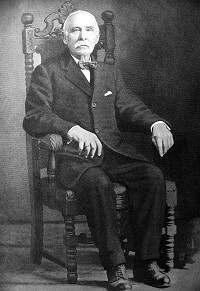 Mr. Young secured his first employment in the manufacturing world in the Lapham mills at Centreville, R. I., where he received the munificent salary of four and one-half dollars per week in the carding department. A year and a half later he entered the Lippitt Mills, where he remained for a year, at the end of that time going to the Shannock Mills, where he spent two years. 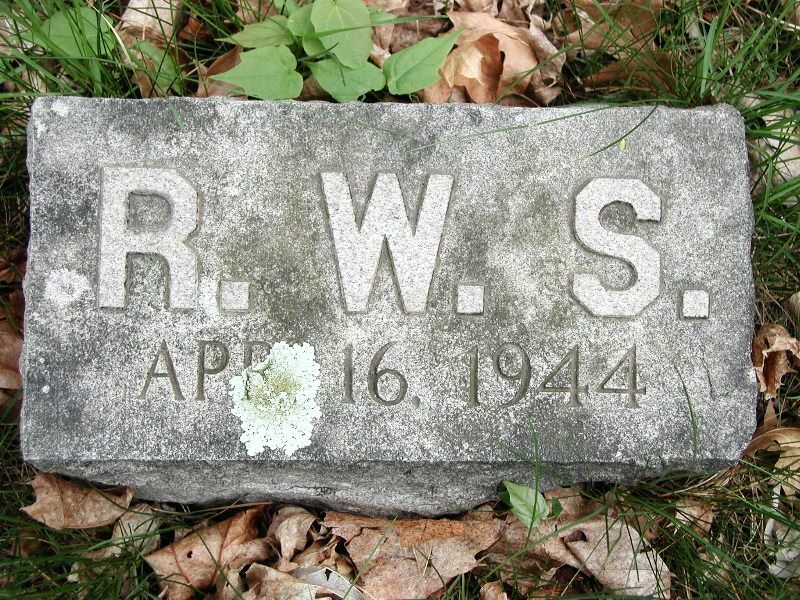 He next learned the trade of stone cutting under Mr. Doty of Stonington, Conn., but finding the work distasteful abandoned it and returned to Rhode Island, where he located at Coventry, and worked for a year in the weaving shop of Peleg and Bradford Wilbur. In the fall of 1856 he located at River Point, with which town he was thenceforth prominently identified until his death, with the exception of a short period spent in Coventry in 1857, as foreman of the weaving department of the mill of Bradford Wilbur. On the return to River Point Mr. Young became foreman in the weaving room of what is now the Queen of the Valley Mill, holding the position for twelve years. He resigned this position to learn the trade of carpenter, which he followed successfully for a considerable period, but eventually abandoned in order to give his entire time and attention to his growing real estate business. In 1877 Mr. Young purchased a large tract of land in River Point, through which he opened a street, now known as Young's avenue. On this property he erected several houses. The venture proving highly successful, and giving promise of further development, Mr. Young devoted all his resources to bringing it up to a high standard. At the time of his death he was the owner of over thirty houses and stores. Through the nature of his business he was brought more or less before the public eye in River Point, and for many years was prominently identified with all movements which had for their end the advancement of civic interests. He was widely known and eminently respected in business circles. In political affiliation he was a Democrat, and for nine years was a member of the school committee. Mr. Young served one term as highway surveyor of District No.2, town of Warwick, and also as auctioneer and police constable. He was once the candidate of the Democratic party for representative in the Rhode Island General Assembly. 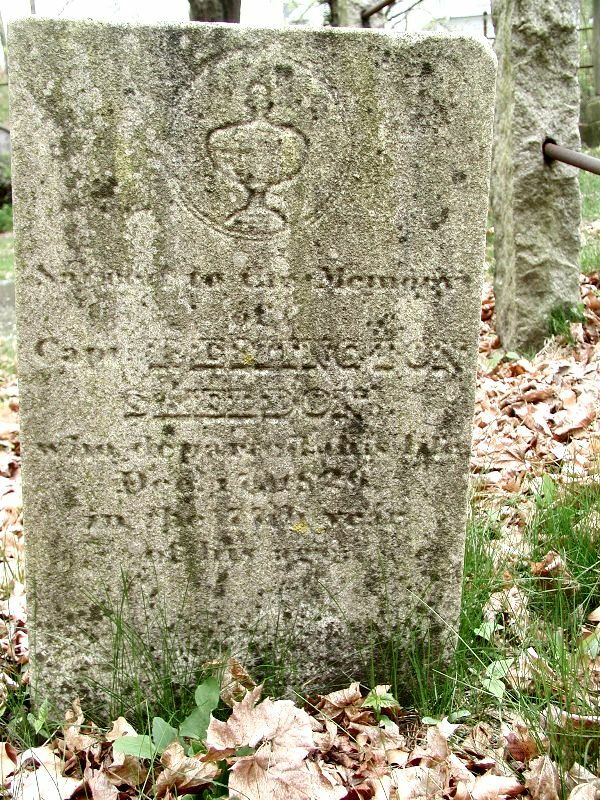 On July 3, 1859, Charles Henry Young married (first) Julia A. Westcott, who was born in Johnston, R. I., died in 1913, daughter of Samuel J. and Abby (Burgess) Westcott, of that town. Mrs. Young descended both paternally and maternally from several of the foremost families of Rhode Island. She was well known in the more conservative social circles of River Point. Mr. and Mrs. Young were the parents of one son, Charles Willington, who was born January 24, 1860. 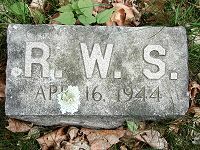 He married (first) Mary Barber, and (second) Hattie Ingram, and resides in Providence. R. I. Charles Henry Young married (second) Clara Belle Read, October 13, 1915, widow of Rastus M. Read, and a daughter of Orran S. Joy and Clara Jane (Hammond) Read, of Johnston, R. I.
Charles Henry Young died at his home at River Point, R. I., on November 1, 1916. Arms - Gules, a saltire between four garbs or. Crest - On the stump of a tree vert, a falcon rising, belled and jessed or. Motto - Cedant arma togae. (Arms must give place to the gown). 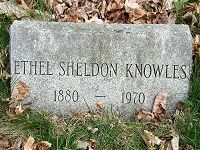 PARDON SHELDON -- This surname runs contiguous with American Colonial history from the year 1675 to the stirring days of the struggle for independence. From 1775 down to the present day it has played a prominent part in the development of New England, in public life, in business and industries. 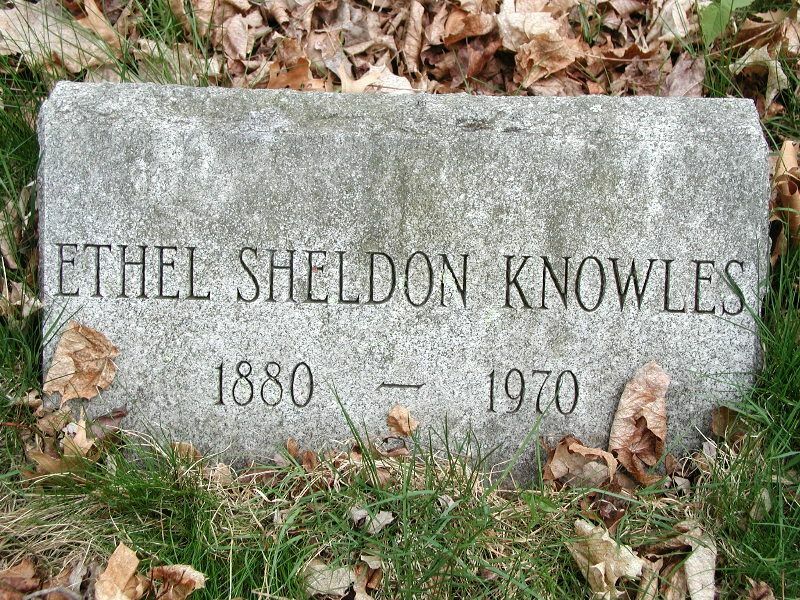 The name of Sheldon is found in very ancient English records and has been established in Worcestershire for many centuries. It is of local classification, and denotes literally one who originally resided in Sheldon. We find parishes of the name in counties Devon and Warwick, and also a chapelry of Sheldon in the parish of Bakewell, County Derby, England. The American family in its several branches was founded by progenitors between whom no relationship is known to have existed. The Rhode Island families of the name comprise the progeny of John Sheldon, known as of Kings Town (Kingston), and John Sheldon, of Providence. 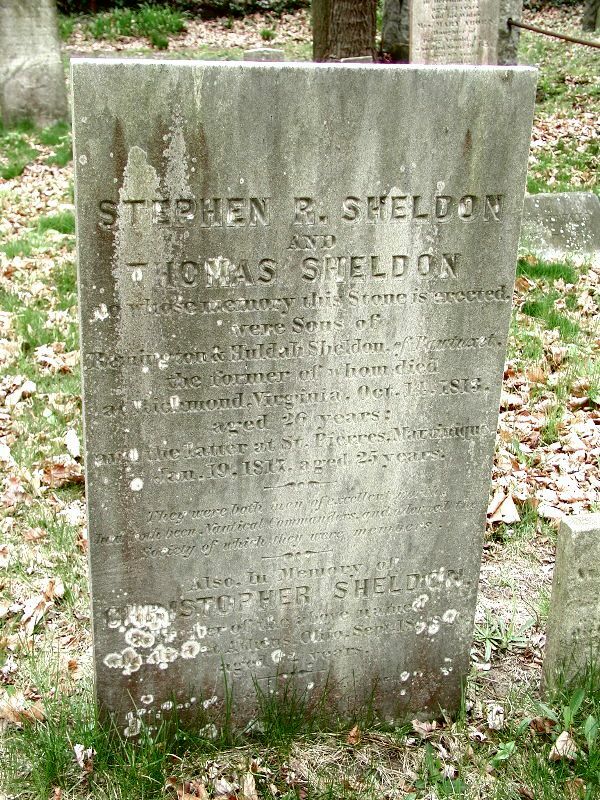 The descendants of John Sheldon, of Providence, have lived largely in the several towns created out of ancient Providence, while those of John Sheldon, of Kings Town (Kingston), have resided largely at South Kings Town (Kingston). 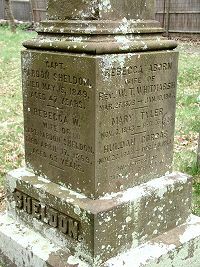 The Sheldons have been allied by marriage with some of the first families of the commonwealth, among them the Williams, Arnold, Waterman, Potter, Anthony, Greene and Olney families. 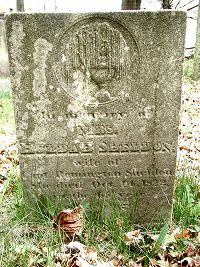 The family was well represented in the American Revolution; among those participating in the struggle were many members of both Sheldon lines. 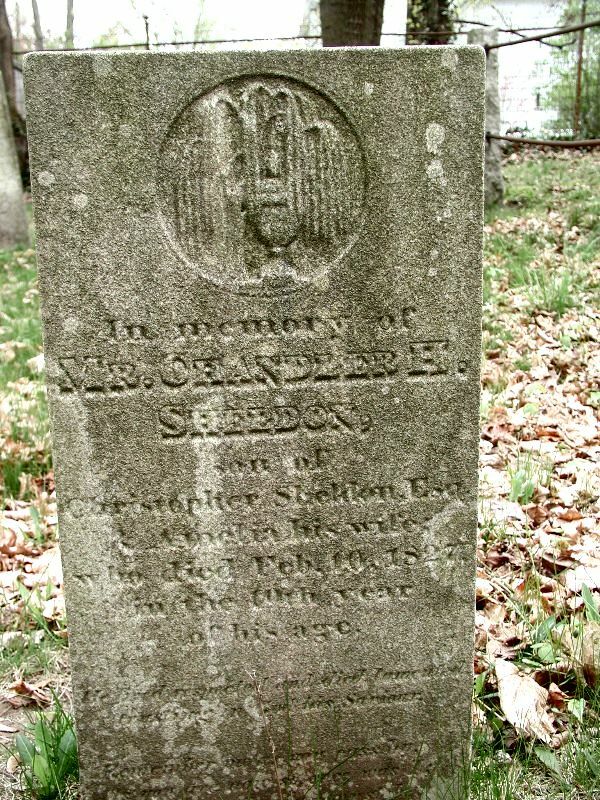 The late Pardon Sheldon, of Cranston and Pawtuxet, for many years a well-known and highly-honored resident of those towns, was a lineal descendant of John Sheldon, of Providence, through a distinguished line of forebears. 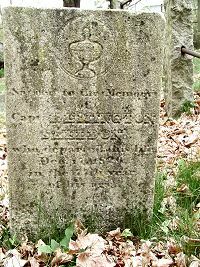 Christopher Sheldon, grandfather of Pardon Sheldon, was a resident of Pawtuxet, R. I., where he was born in 1732. He married, in Providence, January 7, 1753, Rosanna Arnold, and they were the parents of Remington Sheldon, mentioned below. 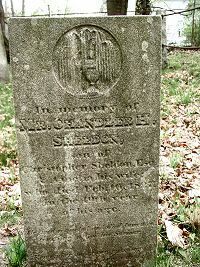 Christopher Sheldon died in 1799. 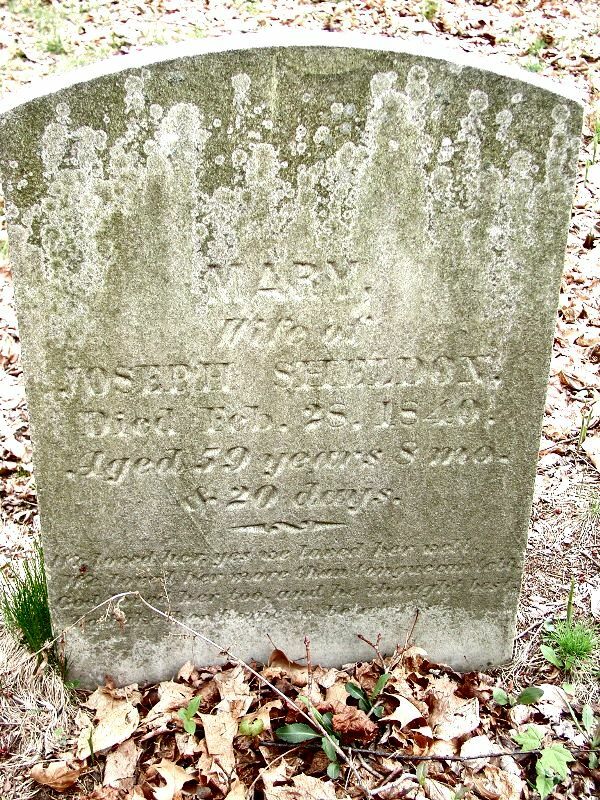 Remington Sheldon, son of Christopher and Rosanna (Arnold) Sheldon, was born in 1756, and died in 1829. 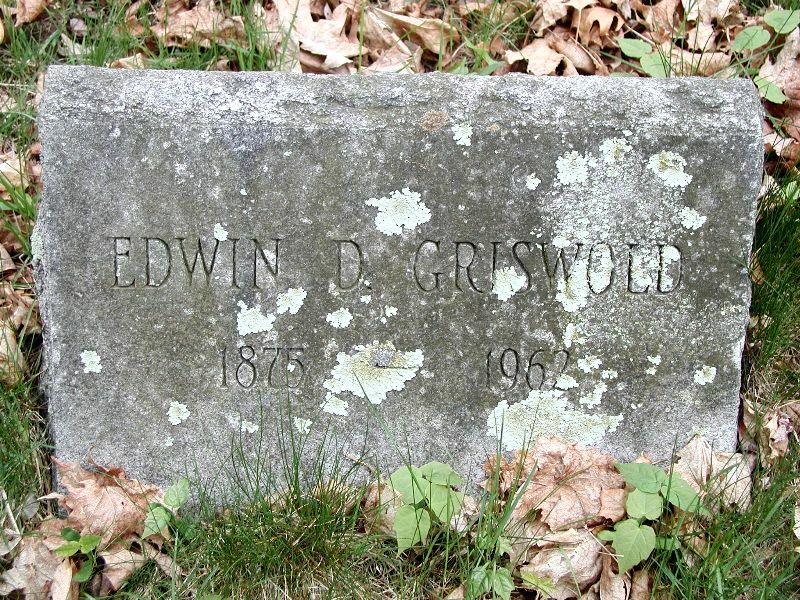 He was a resident of Cranston, R. I., where he married Huldah Greene, descendant of the Greenes of Warwick. They were the parents of Pardon Sheldon, mentioned below. Pardon Sheldon, son of Remington and Huldah (Greene) Sheldon, was born in Cranston, R. I., July 26, 1801. 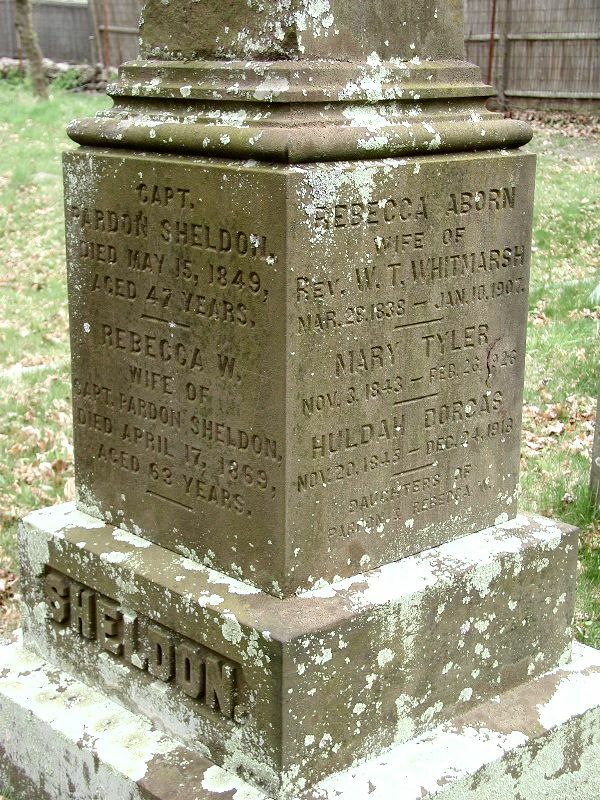 He married, on December 11, 1825, Rebecca Walker Aborn, daughter of Jonathan and Dorcas (Tourtellot) Aborn, who was born September 30, 1806, and died in 1869. (See Aborn V). They had twelve children, as follows: 1. 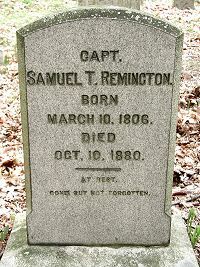 Israel Remington, born April 7, 1827, died March 5, 1885. 2. Louisa Greene, born April 21, 1829, died Aug. 29, 1882. 3. 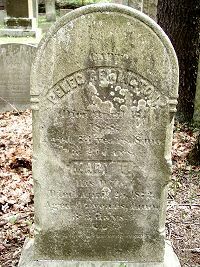 Patience Aborn, born Nov. 8, 1830, died May 6, 1886. 4. Robert Aborn, born June 14, 1832, died June 13, 1849. 5. Pardon, born Sept. 28, 1834, died Sept., 1856. 6. 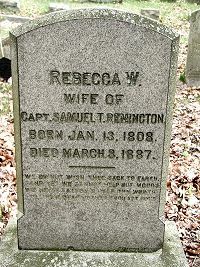 Rebecca Walker, born June 27, 1836, died Sept., 1837. 7. Rebecca Aborn, born March 28, 1838, died Jan. 10, 1907. 8. James Rhodes, born June 2, 1840, now a resident of Savannah, Ga.; a veteran of the Civil War. 9. 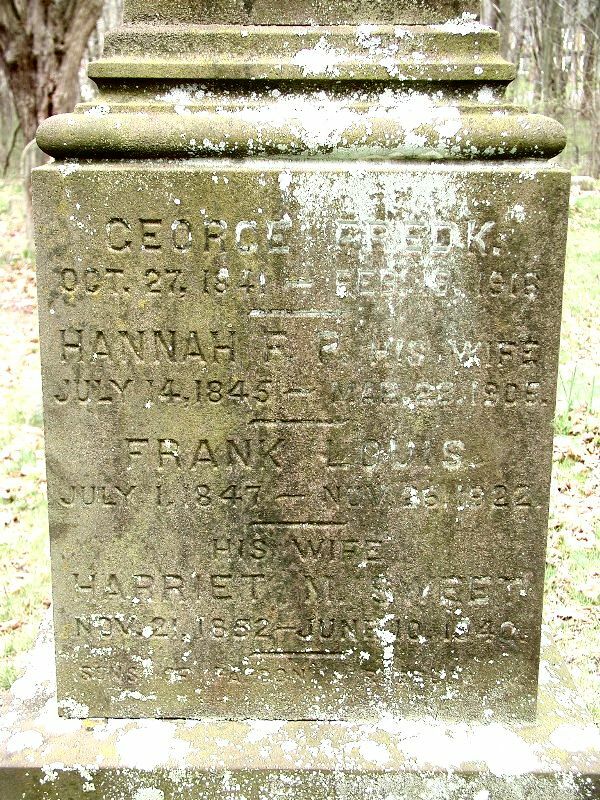 George Frederick, born Oct. 27, 1841, died Feb. 19, 1916. 10. Mary Tyler, born Nov. 3, 1843, residing at the old homestead in Pawtuxet. 11. Huldah Dorcas, born Nov. 20, 1845, a resident of Pawtuxet. 12. Frank Louis, born July 1, 1847, a resident of Pawtuxet. 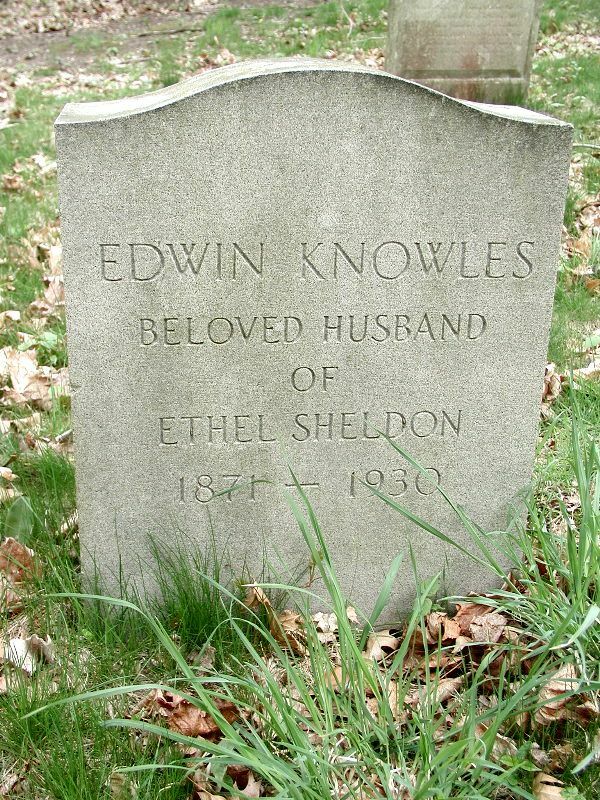 Pardon Sheldon was a lifelong resident of Pawtuxet, R. I., and a prominent figure in its life and affairs. He was active in town affairs for many years. He died on May 14, 1849. The Aborns, exclusively a Rhode Island family, have been identified with Rhode Island life and affairs for about two hundred years, during which time descendants of the founder have been prominent in civic, business and social life in Providence and Kent counties. 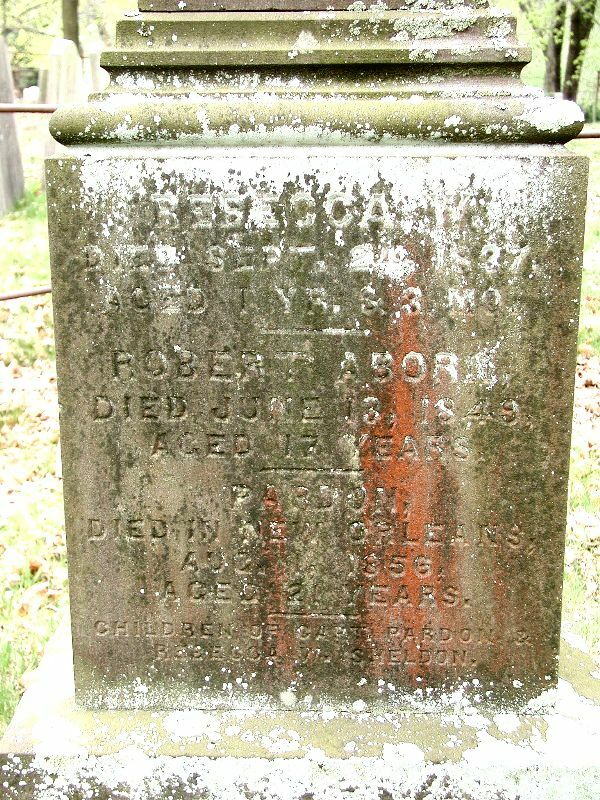 Samuel Aborn, founder and immigrant ancestor of the family in America, was a shipwright, and many of his descendants have adhered to his calling, and followed sea-faring lives. (I) Samuel Aborn, the progenitor, is first of record in Wickford, R. I., in the year 1710, when he purchased of Lodowick Updike twenty acres of land. He settled in Wickford, where he followed the calling of shipwright. He became the owner of considerable property, and rose to prominence in the affairs of the town. He married Susanna ---- , and they were the parents of three sons. Susanna Aborn died after 1753. 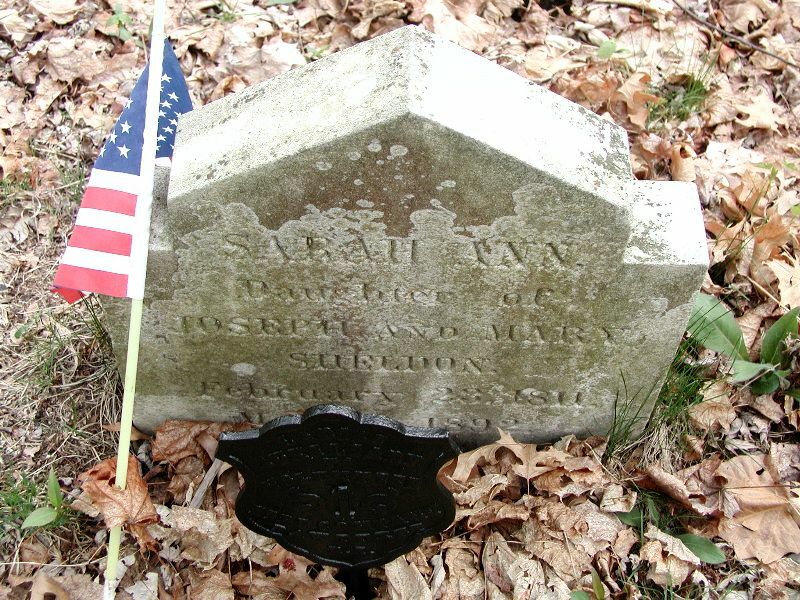 Among the descendants of Samuel and Susanna Aborn have been many leaders in Rhode Island life. 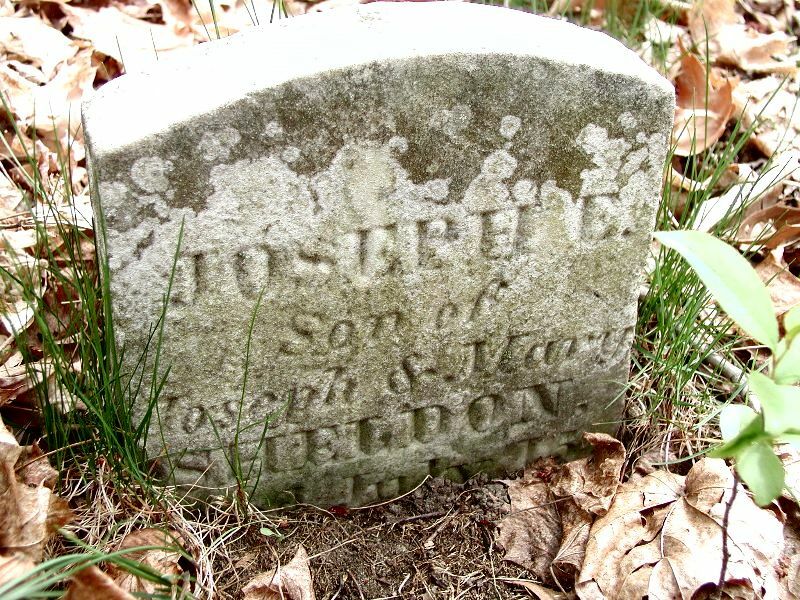 (II) Captain Joseph Aborn, son of Samuel and Susanna Aborn, was born in 1722, and was a resident of Wickford, R. I., and later of Pawtuxet, in which latter town he was the first of the family to settle. He was a master mariner, and followed the sea during the greater part of his life. 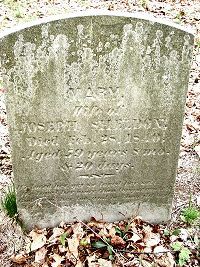 Captain Joseph Aborn married Elizabeth Scranton, born in 1723, and died in 1799, and is buried in Greene Cemetery, in Pawtuxet. (III) Daniel Aborn, son of Captain Joseph and Elizabeth (Scranton) Aborn, was born in Newport, R. I., July 1, 1749, and died in December, 1783, at sea. He was a sea captain. Daniel Aborn was commander of the vessel 'Chance', which sailed from Providence, in May, 1782, a newly built privateer. A few days after leaving Providence the 'Chance' was captured by the British ship 'Belisarius', of the British navy. Daniel Aborn was confined aboard the prison ship 'Jersey'. The filthy condition of the ship and the overcrowding of same caused thousands of deaths. Through the intervention of General George Washington, Daniel Aborn, Sylvester Rhodes, Captain Dring and a few others were exchanged. He later put to sea again, en route to the West Indies, and during a severe storm the vessel foundered and all hands were lost. 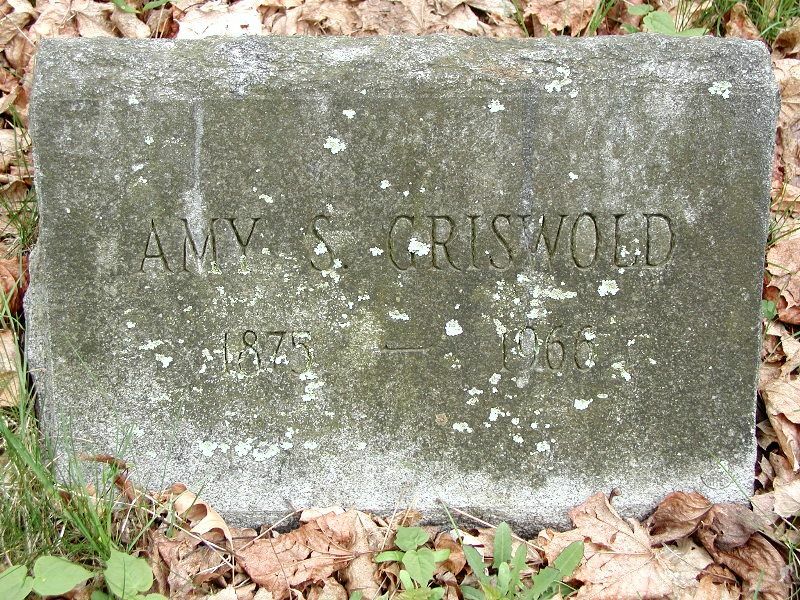 He married, January 8, 1769, Mary Arnold, daughter of Peleg Arnold, was born in February, 1752, and died September 29, 1834. 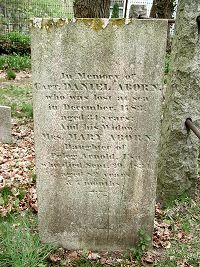 (IV) Jonathan Aborn, son of Daniel and Mary (Arnold) Aborn, was born in 1772, in Pawtuxet, R. I., and died in Calcutta, March 10, 1720 [sic - 1820]. Like the majority of his forebears he followed the sea, as a master mariner. He married Dorcas Tourtellot, who was born in 1775, and died January 9, 1850. She was the daughter of Daniel and Urania (Keech) Tourtellot, of Gloucester, R. I., and a descendant of Gabriel Bernon, a French-Huguenot family of distinction. (V) Rebecca Walker Aborn, daughter of Jonathan and Dorcas (Tourtellot) Aborn, was born in Pawtuxet, R. I., in 1806, and died in 1869. 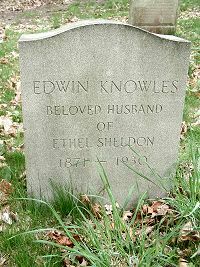 She became the wife of Captain Pardon Sheldon, with whom she is buried in the cemetery in Pawtuxet. Mary Tyler, Nov. 3, 1843 - Feb. 26, 1926 Huldah Dorcas, Nov. 20, 1845 - Dec. 24, 1919 daughters of Pardon S. and Rebecca W.
Pardon, died in New Orleans, Aug. ? ?, 1856, age 21y children of Pardon & Rebecca W.
Sacred to the Memory of Capt. Remington Sheldon, who departed this life Dec. ? ?, 18?? in the 72? ?nd year.